Need new tyres for your car and want them fitted as well? Winter tyres, summer tyres, or all-year tyres - need new ones, fitting, replacement or tyre change? Every time you refuel you should take a look at your tyres and check how much tread is left. When the minimum indicator showing the groove depth is close to being reached, it is time to change tyres. The grip on old worn tyres, isn't as good as on new ones. This will in inevitably influence stopping distance and the general safety of your car. Most tyre brands use a height indicator to specify when it is time to change tyres. Often, there is a mark on the tyre that tells where the height selection is. Inside one of the grooves, there is a little extra bump on the bottom of it, and when the tyre is getting worn down to the mark, it's time to change it. It is not always possible, without any special tools to change the tyre yourself. Thus, there is tyre replacement companies that can do this for you. You can get 3 free quotes on new tyres. You can also read more about winter tyres with rims and get advice on rims here. There are generally 3 types of tyres. Summer, winter and all-season tyres. Each tyre is made especially for the time of year / season, they will be used in. The main differences are within in the tread pattern and rubber type. Winter: Modern winter tyres are made with a type of rubber that is flexible even at low temperatures. They are constructed by "moving" slats that are designed to direct water, snow and slush. Summer: On a dry or wet day in the summer, summer tyres have the best grip, and provide the shortest stopping distance. The temperature is an important factor, since that has an impact on the property of the tyres. All season: These are more like winter tyres than summer tyres. Which means that the stopping distance is not as good as a summer tyre, and in winter the grip isn't as good, as real winter tyres. The advantage is that you do not have to keep changing tyres twice a year. Regardless of the type of tyres you choose, always drive according to the above stated criteria. It is important to know your tyre's ability to stand firm in different weather types. If you have winter tyres on, you still need to drive more carefully on slippery surfaces. Depending on how much you drive, check your tyre pressure regularly. For some it will be enough to check the tyre pressure every time you refuel. For others it will be necessary to check at least once a month. The tyre pressure is essential for both fuel consumption, the braking distance, and overall driving performance. All new cars will have automatic tyre pressure gauge TPMS. 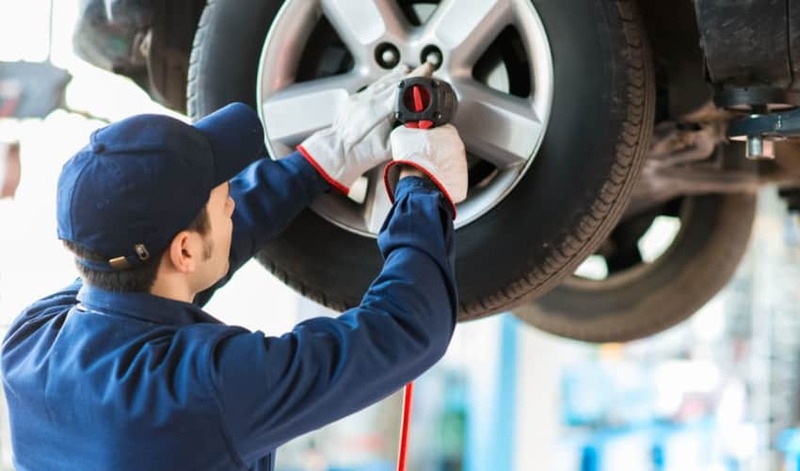 If you find that the car "jumps" despite the tyre pressure being correct, it may be that your tyres need to be re-balanced by a mechanic. It is a common problem that can happen if a tyre hits the curb. It is important that tyres not currently in use, are properly stored. They must, for example, not stand on end (on the tread pattern), as this can damage the tyre. They should lie flat, and it's a good idea to have a stand to hold the tyre properly in the rim. This way, you ensure your tyres last a lot longer.